The Shure PGX-Digital PGXD14 Bodypack Guitar Wireless System adds the clarity of 24-bit digital audio to the legacy of trusted Shure microphone options for wireless performance. 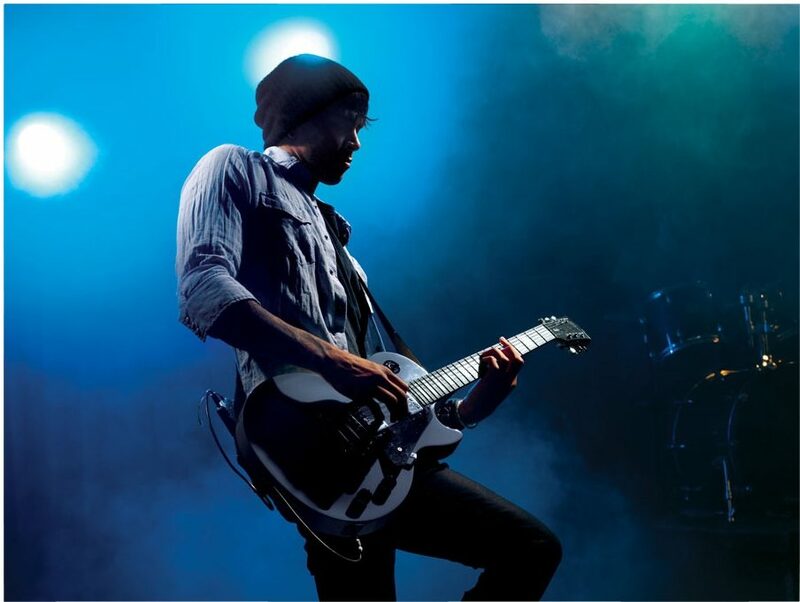 This system includes the PGXD1 bodypack transmitter, which easily clips onto a belt or guitar strap, and the WA302 instrument cable to plug into guitar, bass, or any other 1/4-inch line-level instrument output. 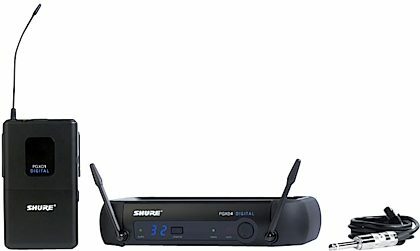 "Shure PGX Digital -- Good, Clean Wireless Connection"
Overall: Was originally shopping for a Samson Airline unit so I didn't to deal with a body pack unit, but then stumbled upon the Shure PGX Digital system, and after comparing digital to the UHF of the Airline unit, I decided to go with the Shure unit for cleaner, more accurate sound. So far, I'm very happy with my choice!The system is quick and easy to set up, extremely simple to operate (unless you WANT to get more complicated, then it offers those options), has surprisingly good battery life on the body pack transmitter, excellent range, and so far has been free of any kind of interference.One of my many reasons for choosing this unit is the use of two AA batteries for the body pack. They're cheap, readily available most anywhere you go, and you don't have to deal with remembering to keep anything charged up! While I was tempted by one unit that was powered by a built-in rechargeable LiIon battery, I realized it was just one more thing to remember. Now I just throw a handful of fresh AA alkaline batteries in the bag and not worry about it. So far I'm still on the original two, and this after an extended practice session at home to test the unit out and make sure I knew how it worked, three rehearsal sessions, and three gigs. Shure claims at least 10 hours of battery life... so far that is definitely true as I still haven't hit the low battery warning!Regarding the most important thing: Sound Quality! I can't hear any difference in the sound quality whether my bass is running corded or through the Shure PGX unit; it is that clean and natural. No loss of lows, clarity, or anything else. I'm extremely happy with it!If I had to pick on something, it would be the fact that I need to manually change to a new channel (frequency) in the event interference is encountered instead of it changing automatically. For a $400 unit, I'd much rather it scan and automatically change to a clear channel itself. Oh, and if a channel change is required, you have to sync the body pack manually. It only takes a few seconds to do, but it does not happen automatically! Just be aware of that fact when making a purchase decision! 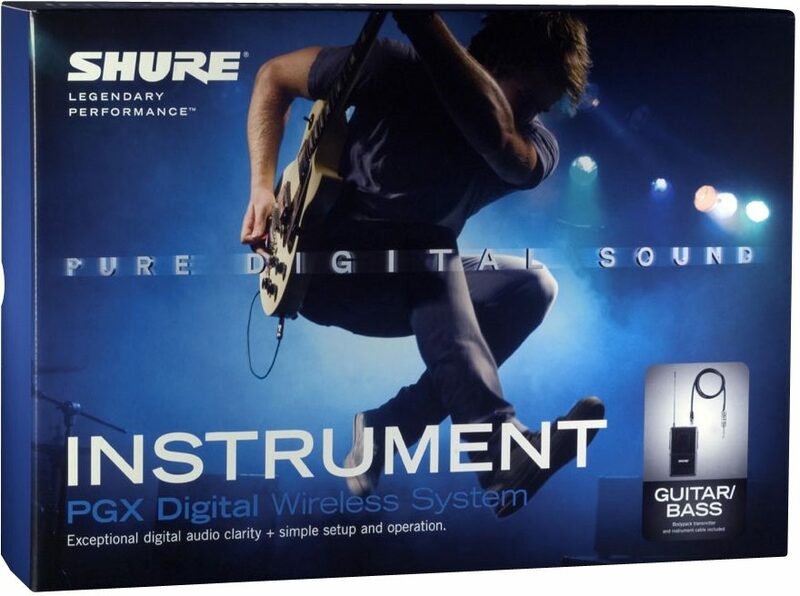 "Shure PGX Digital PGXD14 Bodypack Guitar Wireless System"
Overall: I recently purchased this wireless system based on reviews. I play in a classic rock band with several other wireless systems being used. I've tried other wireless systems in the past and was never impressed. I have to say I was pleasantly surprised as to the quality of sound. I went from using a cord, to this wireless system and didn't have to change any of my settings with the exception of a minor boost on the low end. My soundman was also impressed. Definitely recommended.